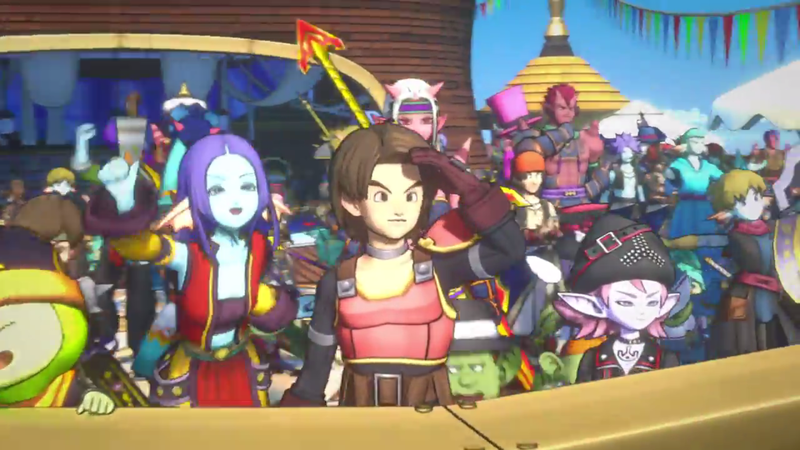 Square Enix has sent out a new Dragon Quest X trailer that highlights the upcoming launch of the All In One Package on Switch. See the video below. Dragon Quest X – All In One Package comes to Switch in Japan on September 21. 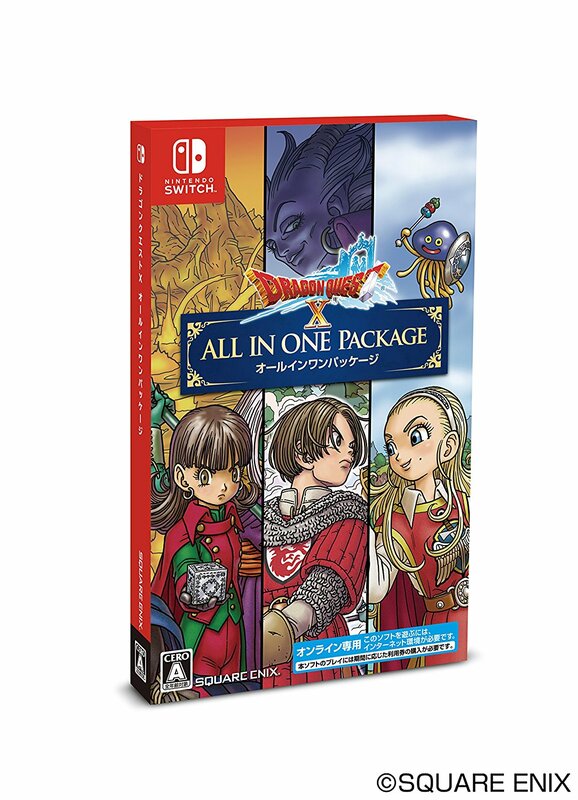 Following up on Dragon Quest X’s confirmed launch on Switch in September, Square Enix has shared the official boxart. See it above. Square Enix has announced that the Switch version of Dragon Quest X is launching in Japan on September 21. It will be priced at 4,800 yen, with weekly fees coming in at 1,000 or 1,500 yen for three or five characters. 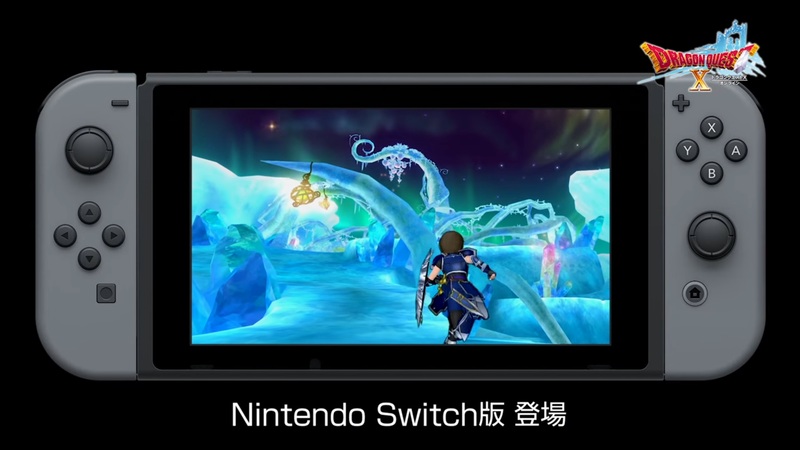 On top of that, we have new footage of Dragon Quest X running on Switch with gameplay on the system’s screen from the official “Countdown Carnival” live stream. View that below. In Japan, Square Enix is planning a beta for Dragon Quest X in Japan. Fans can sign up here for the event to be held between July 19 and August 10. After previously announcing that services for Dragon Quest X on Wii will be discontinued soon, Square Enix has now announced that owners of the Wii version of Dragon Quest X will have access to a free upgrade to the Switch version of the game. When Dragon Quest X is upgraded to version 4.0 sometime this fall, services for the Wii version (not Wii U) of the title will be discontinued. While unfortunate news, Square Enix has stated that they’ll provide every registered Dragon Quest X player on Wii with a download code for the Switch version of the title. Those who prefer a physical copy will still have to purchase the title themselves, but this undoubtedly will please some of the Dragon Quest X players who still played on the Wii version. Square Enix said more details about the upgrade program will be provided in the future. Square Enix has announced that Dragon Quest X will launch in Japan between roughly summer and fall. Square Enix also intends to end service for the Wii version of Dragon Quest X. With the Version 3 period of the game, service is coming to a close in order to update the game to levels that cannot be done on the old system. Nintendo streamed the Dragon Quest VII developer discussion at PAX from a couple of weeks ago, but the online audience was only treated to some of what was shown. We know that a bit of Dragon Quest VIII footage debuted at the event, and fans were able to ask Square Enix’s Noriyoshi Fujimoto some questions. 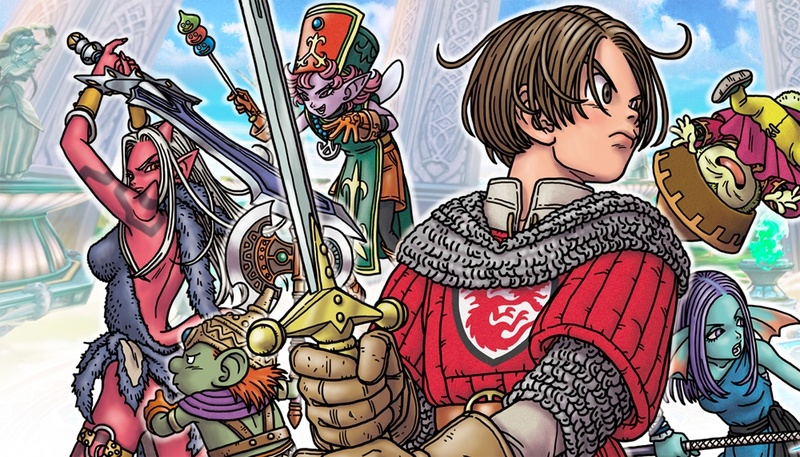 One person wanted to find out if we’ll ever be getting Dragon Quest X in the west. According to a fan attending the event, Fujimoto responded by saying that translating an MMO is a daunting task, and it would be difficult to bring over the game from a business standpoint. However, he did say that if there’s enough fan outcry similar to that of what happened with Dragon Quest VII, Square Enix could look into it. Square Enix has already made Dragon Quest X for Wii U, 3DS, and Wii. An NX version is also planned. During Square Enix’s special Dragon Quest presentation last July, the publisher indicated that two games in the series would be heading to NX. Those titles in question were the already-released tenth entry as well as the upcoming Dragon Quest XI. There was a tad bit of uncertainty regarding both games on NX following the presentation, but this week’s issue of Famitsu offers a confirmation. The magazine spoke with director Jin Fujisawa and producer Yosuke Saito as the series celebrated its fourth anniversary last week. In the interview, Saito specifically mentioned NX and PlayStation 4 as being the “climax” of Dragon Quest X. Of course, there were no specifics about how the online RPG will play on Nintendo’s new system. Square Enix has announced that the Wii U version of Dragon Quest X will be free to download for a while – specifically, from today until midnight on March 31st. The game’s online mode will be free for the first 20 days; afterwards you will need to pay a monthly fee. The offline mode will be free indefinitely. Note that this offer only includes the base game – the two expansions are not included. Naturally, you can only take advantage of this offer if you have a Japanese Wii U. Square Enix has made the Dragon Quest Monsters: Joker 3 demo official. It’ll be released in Japan early next month. 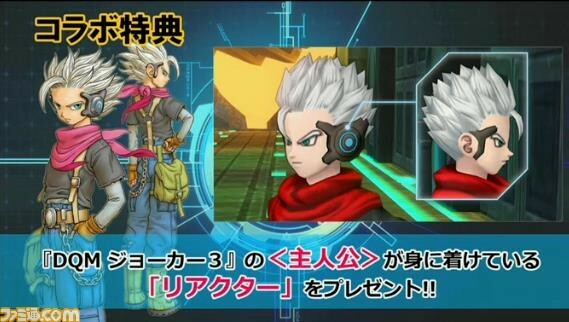 Those who play the demo can receive an original item in the form of the Dragon Quest Monsters: Joker 3 protagonist’s “Reactor” that can be worn in Dragon Quest X. The Dragon Quest X: Boukensha no Odekake Chou Benri Tool for 3DS will be required for this. As for the campaign, it will begin in mid-March.